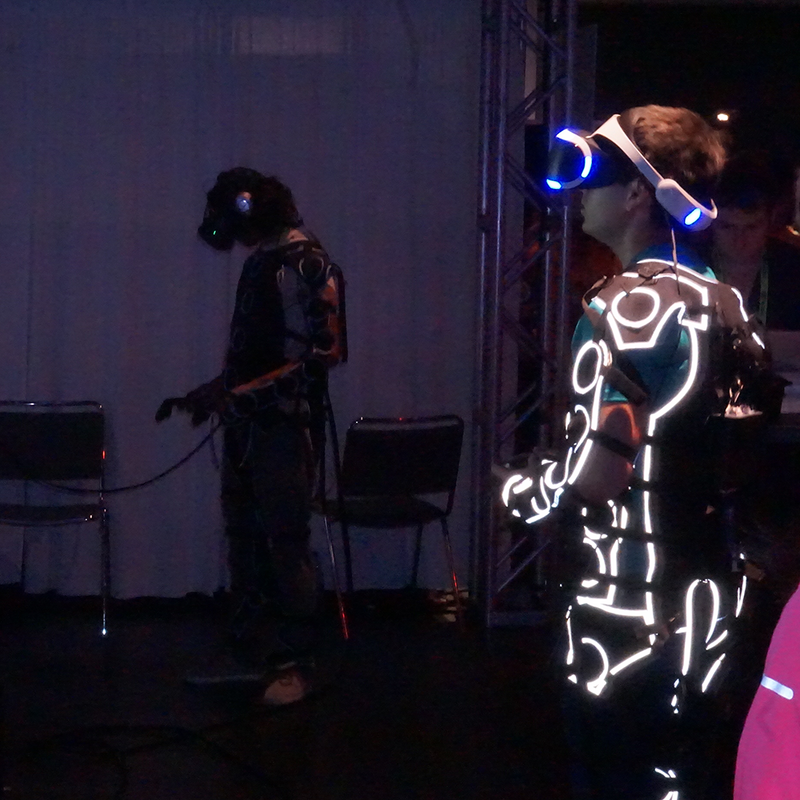 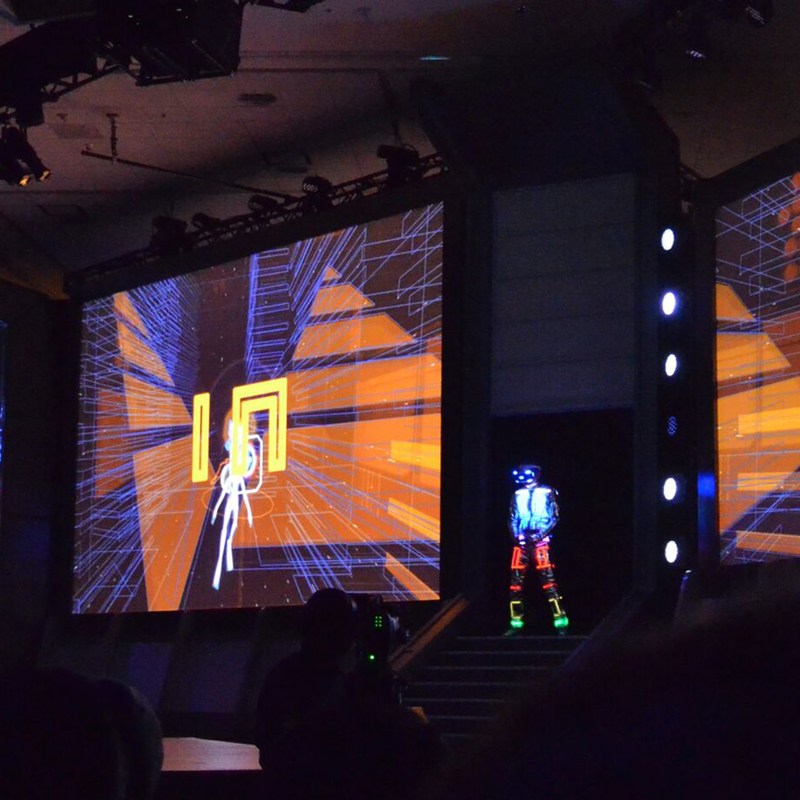 The “Synesthesia Suit” was created to embody the multi-sensory concept behind Rez Infinite. 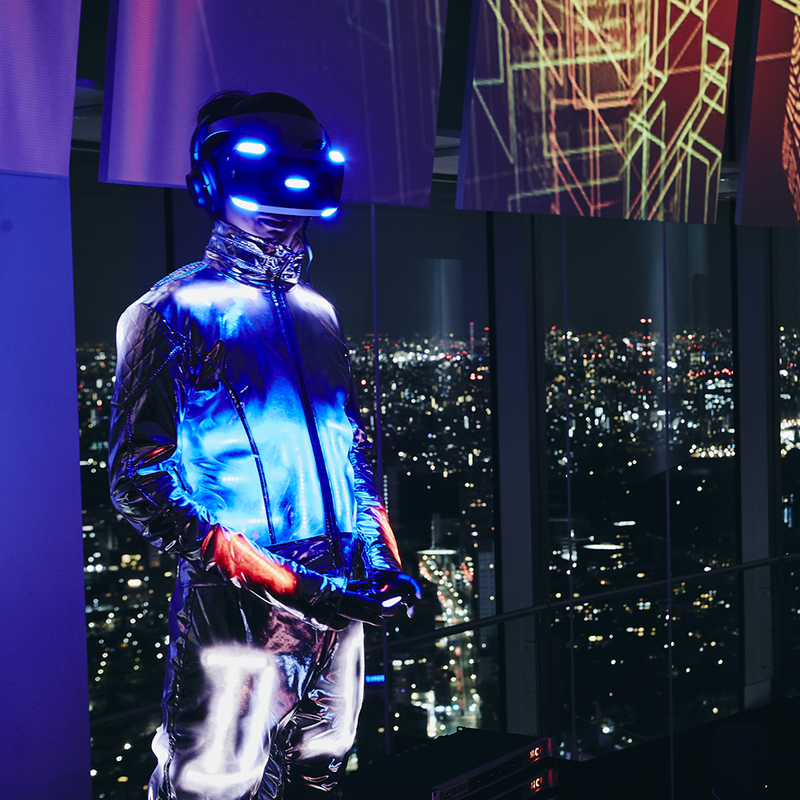 The 26 actuators placed within the suit vibrate throughout the person’s body along with the music, and simultaneously light up via LED. 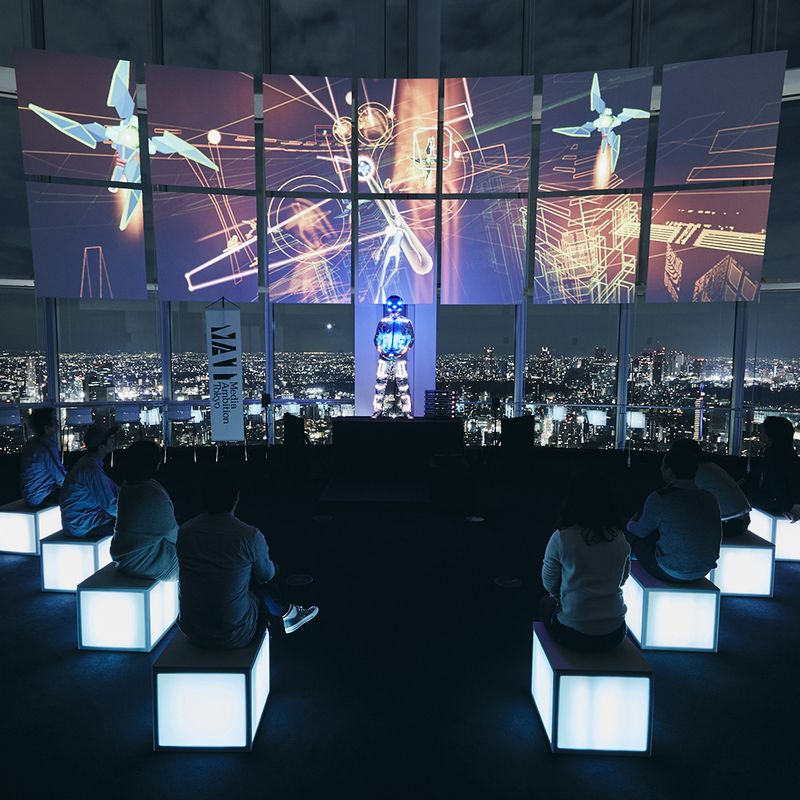 There is an element of texture to the vibrations – whether it be the feeling of stringed instruments or drums being played – to which the LED colors and light patterns synchronize as the game progresses. 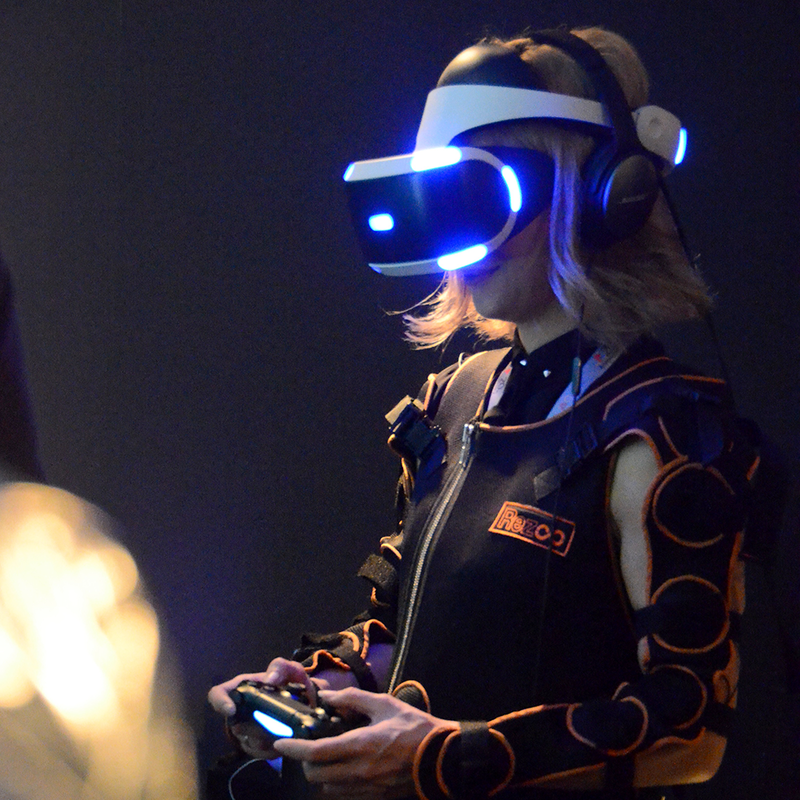 This multimodal suit allows the person to experience music not just through its ears but also through the senses of touch and sight.